The Family presenter is Kym Smith. 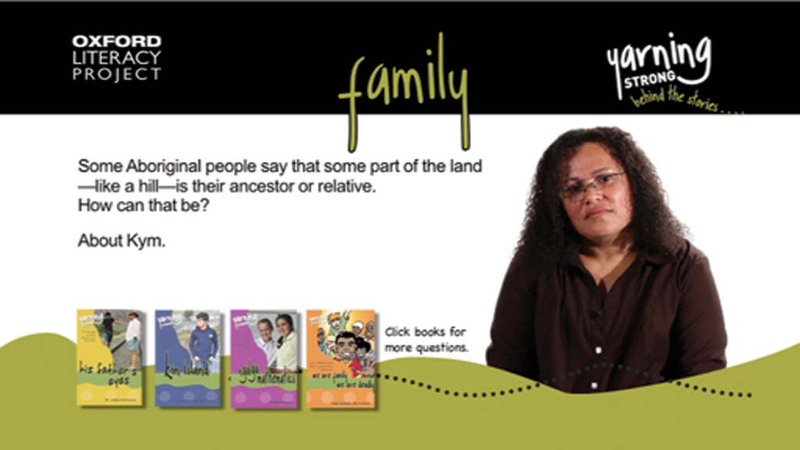 Kym is a Murri woman, originally from Bundaberg. She currently lives in Wulgurukaba and Bindal country with her husband Christian and three young children. A former army corporal, Kym began studying primary education in 2010, and also works with Blacklines Publications, writing and distributing educational resources for schools. DVD users can click on a book cover to see a list of questions related to that book. When any question is clicked on, Kym will provide her answer.